amateur or club golfers to use them. Understanding the importance of precision on approach shots using a wedge chart is your first lesson to a better short game and becoming a wedge guru. 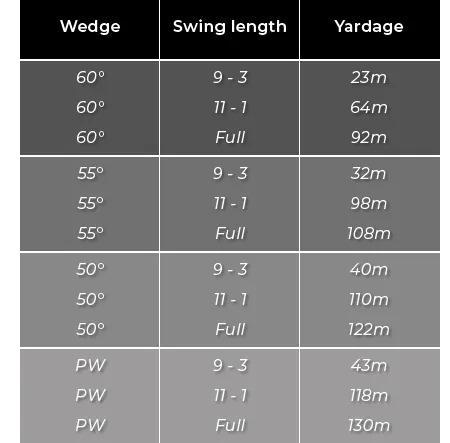 You may think you are not good enough for a wedge chart, but they really work for any level of golfer.